I’ve been wanting to replace the dresser in our room for a while now – but they’re expensive! 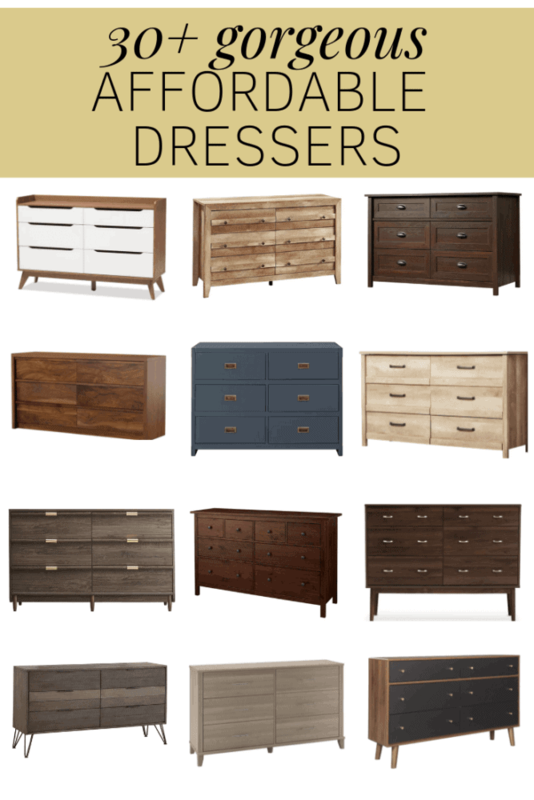 I’ve been on the hunt for cheap dressers that are beautiful, so today, I’m rounding up some options that I love that all cost less than $500! 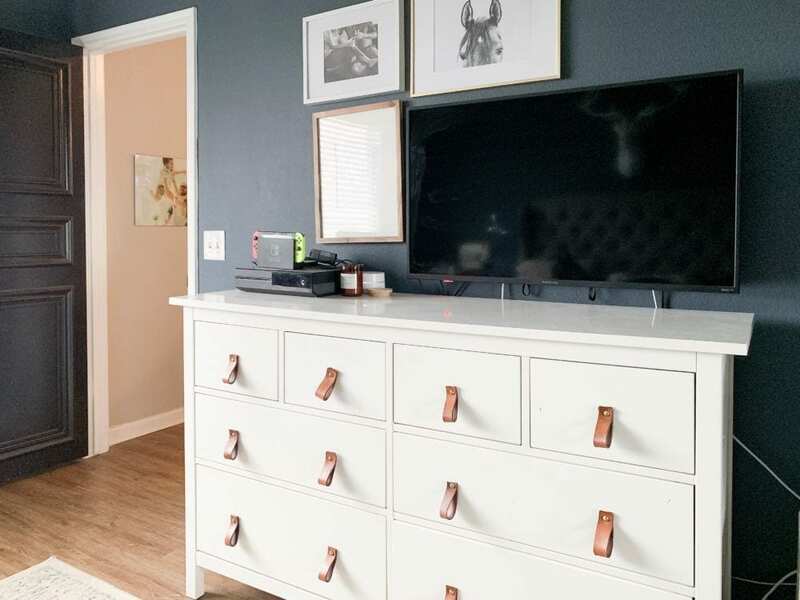 Remember way back when we had Modsy give us some ideas for our master bedroom (that we LOVED) and I said we were going to work on getting our bedroom to a place where we love it and then we just…didn’t? It seems to be a pattern with me. I get distracted. I’m like a puppy. But, as we start to wind down on a few other projects around the house (the bathroom reveal is happening in just a couple of weeks! ), I want to think about what I can do to love my bedroom a little more. I think a really great place to start is by replacing the dresser with one that is a little more fitting for the space. Currently, we have a white IKEA HEMNES dresser, which is fine, but just doesn’t fit with the mood I want for the room. The white is so jarring against our dark blue walls and I think something a little more muted would look better in the space. Originally, I thought buying a new dresser was out of the question because dressers are SO SO expensive. Like, eyeballs popping out of my head expensive. And, honestly, I just have a hard time dropping enough money for a good vacation on a piece of furniture. We’re still considering building something instead, but I’m so glad to have all of these options, and I figured you might enjoy seeing what all I found. Because if you’ve ever looked for a cheap dresser that isn’t super ugly, you’ll know it’s a bit like finding a needle in a haystack. So, enjoy the 30+ dressers I found that are ALL under $500! If you decide to try one out, let me know in the comments – I’d love to see it in your home! I’ve broken the dressers down by store – you’ll see a rotating carousel with images of all of the dressers (the images are clickable), followed by text links to each of the dressers.